It was a nice, sunny morning. I was roaming the county roads, checking out spots I’d marked in my GPS long, long ago. There were some targets of opportunity I’d marked but never had the chance to actually photograph. 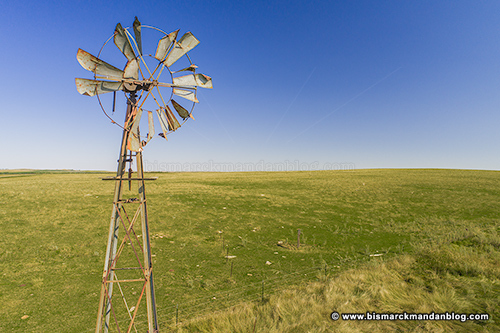 This was one of them: a windmill which has seen better days, yet is still standing tall. I always find little extra bonus items on these roaming trips, and today was no exception. It’s amazing how sometimes I can spot something that I swear I must have driven past at least a handful of times, but which has obviously been there all along. 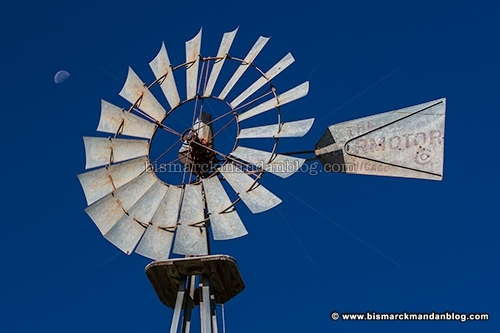 That was the case with this windmill. The moon wanted to get into the picture. I wish the angle would have been better to break out the telephoto and cheat the perspective to make the moon appear larger in this shot, but I just didn’t have physics on my side that day. I love to roam. As things start changing for Autumn, I’m now faced with a primal urge to get out and chase stuff with my camera, investigate things I’ve mapped for future photo jaunts, and make the best of the time before the trees become barren and the landscape a dull gray. Winter has its own opportunities, but September is my favorite. Hopefully, although my schedule is absolutely stacked, I can make the most of it. 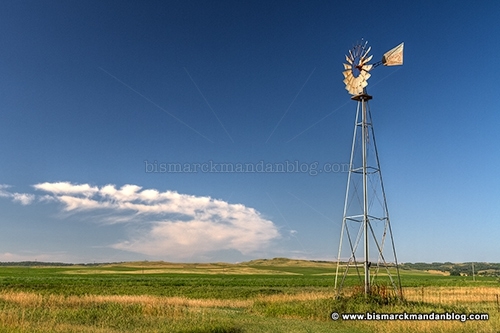 This entry was posted in Windmills and Wells by Clint. Bookmark the permalink.